On Friday, November 25 at 10:25 am EST (7:25 am Pacific), the Mars Science Laboratory (MSL) mission will rocket into the sky on a 191-foot-tall Atlas V rocket and begin its mission to Mars. While the MSL rover, Curiosity, is currently sitting on top of the Atlas V rocket, NASA is making its final preparations for the first launch opportunity, and tweeters are preparing for a two-day launch tweetup. The MSL is an extremely important Mars mission that will perform the first-ever precision landing--using a guided entry system--on Mars; analyze the soil for organic compounds; investigate the composition of the Martian surface; and determine the Martian atmospheric cycling and processes, as well as a number of other atmospheric conditions that could help determine the past and future habitability of Mars. That last one is important--we may finally have the answer to whether life has ever existed on Mars. According to NASA, Curiosity is twice as long and five times as heavy as previous Mars rovers Spirit and Opportunity; it will also carry instruments that weigh 15 times as much as the previous Mars rover payloads, and according to the New York Times, the total cost of MSL is about $2.3 billion. Currently, NASA is preparing for launching the mission on November 25th--the first launch opportunity. If weather or other conditions prevent launch then there will be other launch windows through the 18th of December of this year. 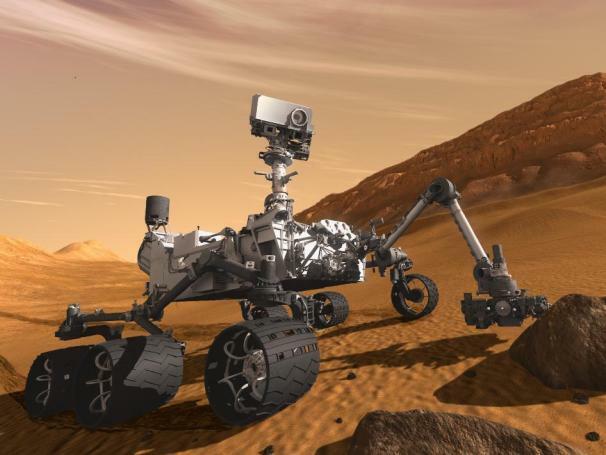 The rover will land on Mars in August of 2012 and the mission will last for 686 Earth days. For all you twittering tweeters out there, NASA has invited 150 followers of NASA's Twitter account to a two-day Tweetup between November 23rd and the 25th at Kennedy Space Center in Florida. The Tweetup participants will share their experience at the center and th launch with their Twitter followers and on other online forums. So make sure to stay tuned to the Twitter hastag #NASATweetupon the day of the launch. To learn more about the MSL mission make sure to visit the NASA MSL main page and some of our previous coverage on Curiosity! UPDATE: This launch has been delayed one day until Saturday, November 26 and the launch window begins at 10:02 a.m. EST. NASA reevaluated and released a new briefing and event schedule on November 21. The Tweetup has been postponed until November 25 at 11 a.m.